Failing to get effective, regular exercise can eventually lead to a number of orthopedic problems, including knee pain. 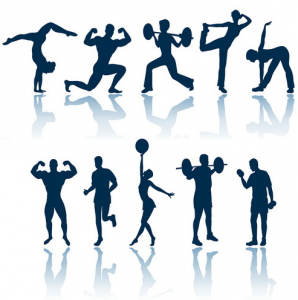 The staff at Orthopedic Surgeons San Diego recommends a regimen of regular physical activity to strengthen joints. That advice was validated in a recent study, which indicated people benefit most from relatively easy 10-minute workouts that include one minute of strenuous exercise. The New York Times touted the findings as “good news for busy people who have tried, unsuccessfully, to fit even short workouts into their schedules.” Martin Gibala, a kinesiology professor, led the study at McMaster University in Ontario. He and his colleagues analyzed 14 men and women who were in good health, but overweight and sedentary. The researchers monitored the volunteers’ blood pressure and blood-sugar levels, took biopsies of their muscles and measured their aerobic endurance, the Times reported in its “Well” blog. The study participants rode computerized stationary bicycles “all out” for 20 seconds, pedaled slowly for two minutes, rested for three minutes, then repeated the process two times. The result was 10 minutes of exercise, including one minute of intense interval training. This was done three times a week for six weeks, after which the volunteers underwent another round of medical tests. 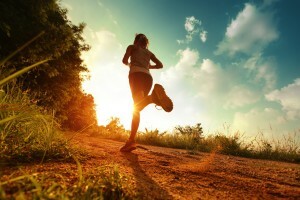 The doctors discovered that the exercise routine had improved endurance capacity by an average of 12 percent. Lower blood-pressure levels were detected in most of the participants, and their muscles produced more mitochondria (which boost energy and fitness). The tests showed healthier blood-sugar levels only for the men, possibly because women’s bodies burn sugar and fat differently during exercise, the Times noted. Gibala told the newspaper that workouts of less than 10 minutes probably are not effective. 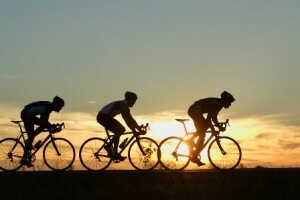 He said: “We’ve dropped from 30-second all-out intervals to 20-second intervals because for many people those last 10 seconds were excruciating.” The doctor explained that riding a bike is just one way to get the right kind of exercise. He mentioned running in place and racing up steps as alternatives. Other options include walking, jogging, swimming, and playing golf or tennis. 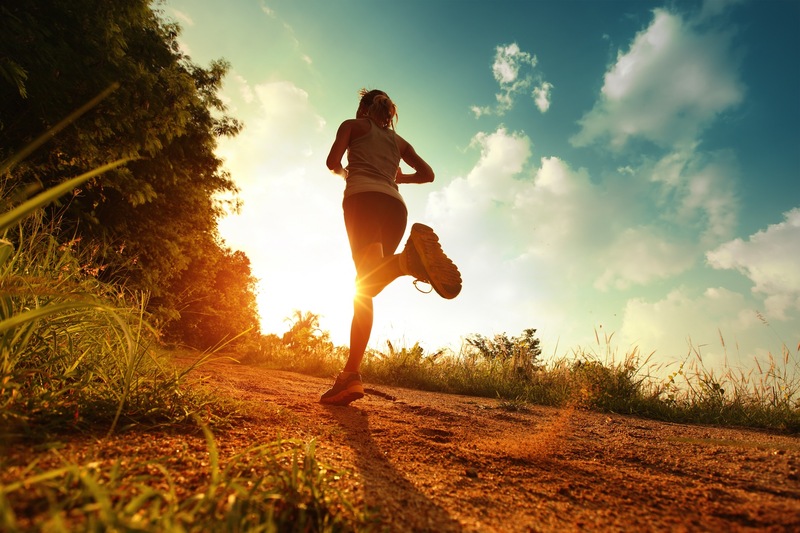 Experts recommend that people not accustomed to vigorous exercise start slowly to prevent injury. Brisk walks and stretching are good ways of easing into a workout regimen. That can evolve to things like floor exercises, aerobics and yoga. Home-exercise equipment includes treadmills, stationary bicycles, elliptical trainers, weight machines, resistance bands and free weights. A growing number of people a re going to gyms, spas and fitness centers to work out on other types of machinery. Many of the facilities offer fitness training, yoga and aerobics classes, and other services. The best kind of exercise, in terms of burning calories and achieving fitness goals, is called cardio because it entails elevating the heart rate. Multiple studies have proven the effectiveness of cardio workouts in warding off illnesses and diseases, as well as relieving stress. 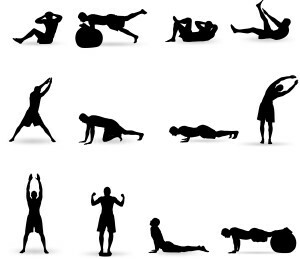 Such strenuous physical activity grows muscles while reducing fat. If you are suffering from knee pain, schedule an evaluation by the renowned sports medicine staff at Orthopedic Surgery San Diego to learn how you can relieve your symptoms with exercise and other treatment.